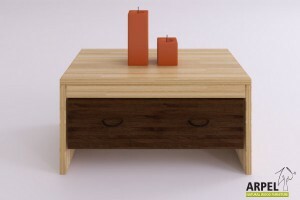 Zen Bedside tables with a sleek, minimal design that match our japanese beds of the same series. Choose your favorite among our different models in various sizes and finishings and complete your japanese style zen bedroom. Zen sospended bedside table consists in a 40x30 cm shelf that is assembled between the side panel and head panel of the bed. 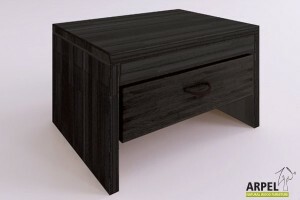 The width of the bedside tables must therefore be added to the width of the head panel. The suspended bedside table with one drawer consists a 40 cm wide and 30 cm deep structure that is assembled between the lateral panel and head panel of the bed. The width of the suspended bedside table must therefore be added to the total width of the head panel. The drawer moves on wooden runners. 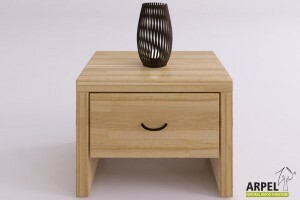 Zen bedside table made up of laminated beechwood and can have a 40x30 cm or 45x35 cm top. It's available in the basic version or it can also be provided with a shelf or sliding drawer. 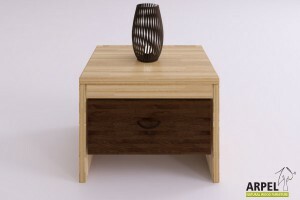 Bali one-coloured bedside table is made up of solid lamellar beechwood 19mm thick; in the frontal side the top is increased by 6cm like the bed frame. 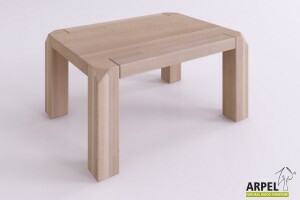 The standard sizes are 40x30cm; it's available in the basic version or provided with a drawer. 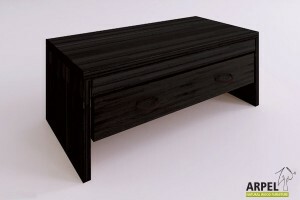 Two-coloured Bali bedside table is made up of solid lamellar 19-centimeter beechwood; in the frontal part the top is increased by 6cm, like in a bed frame. The standard top is 40x30cm, the bedside table is available in the basic version or provided with a drawer that can be two-coloured like the foot of Bali bed. 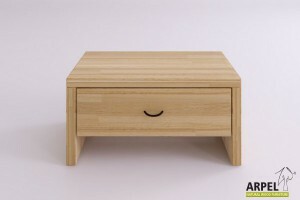 Aiko bedside table in lamellar beechwood can have a 40x30 or 45x35 cm top. It's available in the basic version or it may be provided with a shelf or a wood on wood sliding drawer. 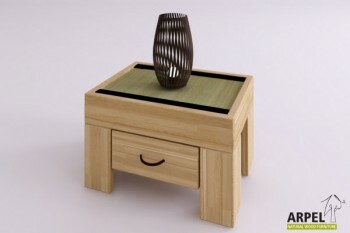 Zen small bench is made with laminated beechwood and it has a 60x40 cm top. 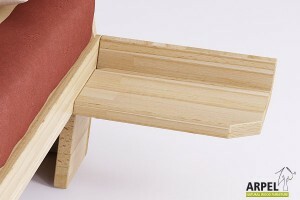 It is available in the basic version or it can be provided with a drawer that slides on wooden runners. The single-coloured Bali Small Bench is made with solid lamellar 19 mm thick beech wood. On the front, the top is increased by 6 cm to match the frame of the Bali Bed. The sizes of the standard top are 60x40. 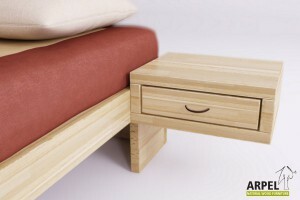 This bedside table can be equipped with different kinds of drawers. Bali two-coloured small bench is made up of solid lamellar beechwood 19mm thick, in the frontal side the top is increased by 6 cm as the frame of the bed. The sizes of the standard top are 60x40; the bench can be basic or provided with a drawer available also two-coloured like the foot of Bali two-coloured bed.